Inspired to find a solution to the never ending issues with gangs and drugs in our youth's society. 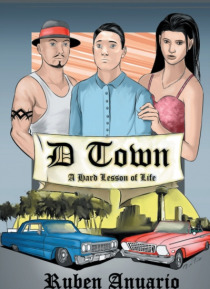 D Town is a story about a young man learning to make the right decisions while dealing with the peer pressures off bad influences. You will find everything emotion in this novel from action to suspense, to love and remembrance the loss of a loved one. Most of all you will find positive endures and a… t the same time keep you guessing if the main character will seek revenge looking for his father's killer and if he will ever leaving the bad lifestyle he lives in.